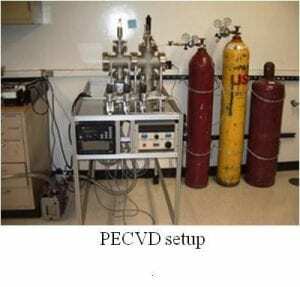 The pulsed power group at USC designs and builds high voltage, high current pulse generators for a variety of applications in fields such as ignition and combustion, biomedical, andagriculture. 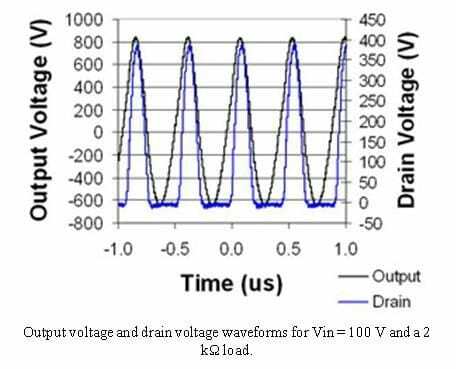 The circuit architecture for these pulse generators depends on a number of parameters including pulse energy, average output power, output amplitude, pulse width, repetition rate, and load impedance. 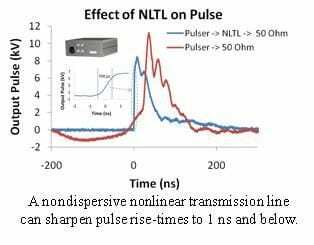 A major focus of the group has been to miniaturize pulsed power systems that are capable of producing pulses with amplitudes between 1 and 100 kV, pulse widths between 5 and 100 ns, and output currents of hundreds of Amperes. 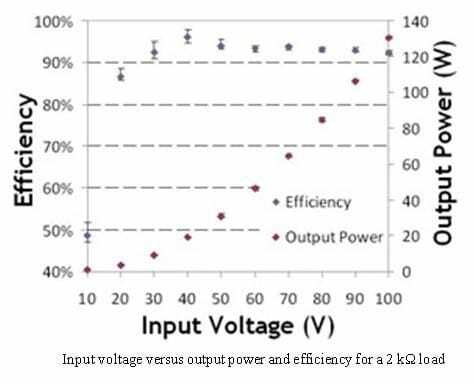 Miniaturization primarily occurs by synthesizing new and simpler circuits for driving output opening switches, optimizing magnetic compression stages, and optimizing circuit layout. Most recently the pulsed power team has been designing nonlinear transmission lines as a means for sharpening pulse rise-times from 10 nanoseconds to sub-nanosecond and also as a means for generating bursts of microwaves. In addition to designing pulsed power systems, the group is also focused on the science of metrology (measurement), which is important because accurate measurement is often crucial for meaningful scientific study. For this reason, the group designs and builds custom broadband, high voltage, high impedance attenuators, which are used to monitor pulses without significantly perturbing them. 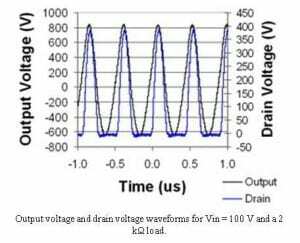 Characterization and modeling of complex load impedances, such as biological samples and various plasma devices, is also a focus area of the group because electrical load impedance as a function of frequency and pulse amplitude is an important parameter for designing a pulsed power system. Pseudospark switches are high-power, high voltage (typically 10 – 50 kV) gas phase switches known to be superior to high-pressure spark gap switches and thyratrons in several key switch parameters . They have been developed and employed in a variety of pulsed power applications including high power electron beam sources, high power microwaves, and transient plasma ignition for pulsed detonation engines. 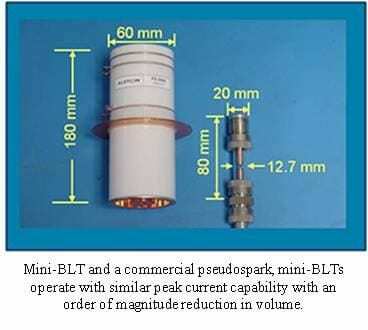 As an optically triggered version of pseudospark switches, back-lighted thyratrons (BLTs) offer additional advantages in electrical insulation and flexibility of the triggering system. Electrical insulation between the switch and the trigger has made it possible to design an ultra-compact switch, mini-BLTs, which were designed and built at USC Pulsed Power laboratories. In addition to their high power (40 kV) and high current (17 kA) capabilities, mini-BLTs have reasonable lifetime (>10^8 shots) at medium current operation (several kilo amperes) [2,3]. Our current research on these switches focus on making them even more compact. We have been investigating different materials as potential BLT cathodes . 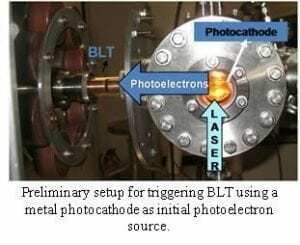 Through our studies of photoemission that initiate the main switch discharge, we are aiming to develop more efficient triggering schemes for BLTs which will potentially enable more compact optical triggering sources. K. Frank, E. Boggasch, J. Christiansen, A. Goertler, W. Hartmann, C. Kozlik, G. Kirkman, C. Braun, V. Dominic, M. A. Gundersen, H. Riege, and G. Mechterscheimer, “High-power pseudospark and BLT switches”, IEEE Trans. 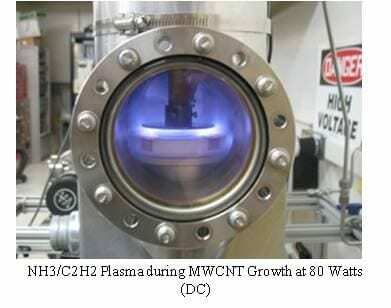 Plasma Sci., Vol. 16, pp. 317-323, 1988. C. Jiang, A. Kuthi, and M. A. Gundersen, “Toward ultracompact pseudospark switches”, Appl. Phys. Letts., Vol. 86, pp. 024105-3, 2005. H. Chen, C. Jiang, A. Kuthi and M. A. Gundersen, “An Ultra Compact Back-lighted Thyratron for Nanosecond Switching Applications,” Dielectrics and Electrical Insulation, IEEE Transactions on, 2009. 16(4): p. 1043-1047. E. B. Sozer, C. Jiang, M.A. Gundersen, R. J. Umstattd, “Quantum efficiency measurements of photocathode candidates for back-lighted thyratron”, Dielectrics and Electrical Insulation, IEEE Transactions on, 2009. 16(4): p. 993-998. (1) RF assisted PECVD system for deposition of multi-wall vertically aligned carbon nanotubes which can used as cathode field emitter sites. 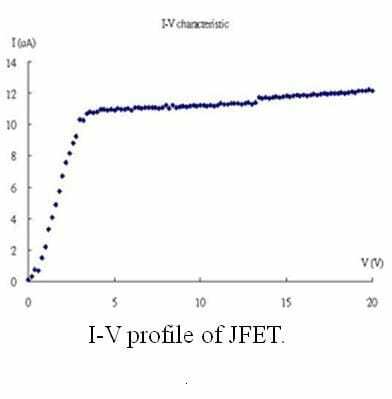 (2) VJFET-controlled CNT field emitter sites cathode which has large area (1cm2) arrays and showed both good current regulation and high dynamic resistance. By adding modest amounts of RF power to the system, the bias generation and heating is decoupled from the plasma generation. 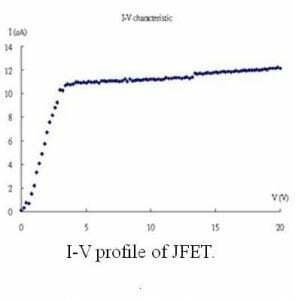 Consequently, it was expected that CNT growth temperatures can be lowered and the arcing on the insulator surfaces of the Si wafer can be significantly reduced. 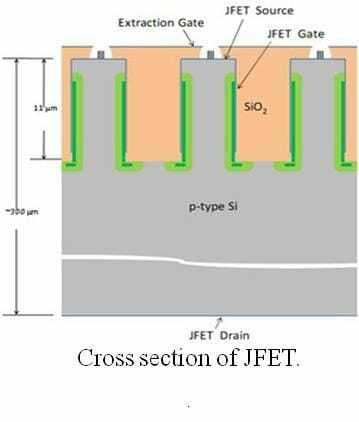 By adding SiO2 trenches to the JFET is the same as adding an equivalent source resistance and it is expected to stabilize emission current as well as substantially increase the dynamic resistance.